Yesterday my kids brought home their Reports Cards. I have never been the type of parent who expected AMAZING grades nor did I put pressure on my kids to get all A’s. But, they were bright kids and my expectation was that they always do their best. This typically resulted in report cards that were a pleasure to open. 1) Responsibility: Submitting homework & assignments on time. Commitment to work and how they manage and take responsibility for their behavior in class and groups. 2) Independent work: How they independently monitor, assess and revise plans to meet goals. How well they use class time to compete tasks and how well they do their work with minimal supervision. 3) Initiative: Looking for opportunities for learning. Takes risks in learning. Demonstrates curiosity and approaches tasks with a positive attitude. Recognizes and advocates for their needs and the rights of others. 4) Organization: Devises and follows plans for completing work. Prioritize work and time management. Keeps an organized work space. Appropriately gathers information and resources to complete tasks. 5) Collaboration: Accepts various roles, works well with peers, responds positively to others ideas. Works with others to resolve conflict and shares knowledge, resources etc. to solve problems. 6) Self- Regulation: Sets personal goals and monitors progress. Seeks assistance when needed. Reflects and assesses personal strengths and needs. Perseveres when responding to challenges. These learning skills are assessed and evaluated with either: E: excellent, G: good, S: satisfactory or N: needs improvement. These skills really shine a spotlight on which kids have ADHD and many struggle in all of these areas. Sara was no exception. In her early years Sara received a mix of E’s and G’s. With Grade 1 being predominantly E’s, Grade 2 a pretty equal mix, and Grade 3 being the first year that it was predominantly G’s. This was not concerning to me as I understood that there were more demands placed on students as they moved up through the grades. By the time she reached grade 4 there was not an Excellent (E) to be found throughout the year, though she did receive one on the final report card. By Grade 5 she was no longer getting any E’s and we saw the first S appear. This was also the year that she was given the ADHD diagnosis. In Grade 5 her desk was soooo disorganized, that she could spend the entire period searching for whatever worksheet the class was working on, and often never found it. She was required to spend one break every Friday organizing her desk for the next week, and she was assigned a “remembering buddy” whose job it was to make sure she was remembering to pack up homework, lunch bag etc. at the end of each day. By Grade 6 it was almost entirely S’s with only one G on the first report card but by the end of the year she had 3 N’s. That was pretty depressing. By now, even the “remembering buddy” was not enough and Sara had individualized help from the teacher. Using a desk was so ineffective for her that they transitioned her to an accordion folder for storage in the hopes that it would help with organization. She had checklists at school, and at home, and she was allowed to bring a cell phone to school because it was programmed with “alarms” that would help her to stay on task. We used an app that notified her with pictures, which prompted her to remember to bring her gym shoes to school, or to bring home her laptop. She also used it to take pictures of the things that the teacher knew she would forget to tell me – each night I scrolled through the images for a snapshot of what we needed to be doing at home. Grade 7 was much the same, but because she was rarely in school (she missed 146 days) it was hard to assess her. But her very kind and compassionate teacher – who was more concerned about Sara’s self-esteem than her report card – graciously gave her mostly S’s and G’s. We started the protocol in May 2017 and that July she attended Summer School. 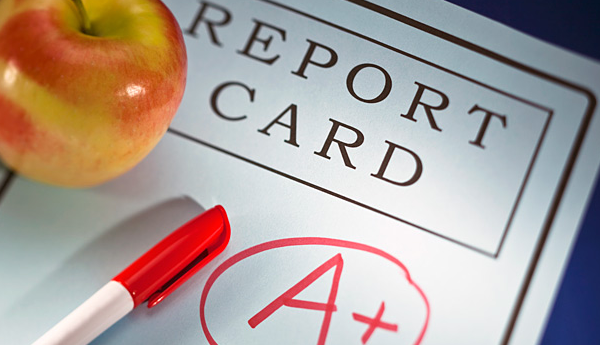 She had already improved significantly and her daily “report card” was already starting to reflect that (you can read about that in this blog post). We knew the protocol was working and while this validated it for us, I was also aware that Summer School was not a accurate representation of a typical classroom experience. There were less students, it was a slightly shorter day, and it was focused on just one subject. Given that, I was not certain that we could expect the same results from mainstream school. So here we are in Grade 8 and she is back in business! Report cards came home yesterday and she had FOUR Excellents and 2 G’s in her learning skills! She also had incredible grades in each subject. She is so proud and so am I. It speaks volumes to how far she has come in the last 9 months. Oh how the times have changed. She went from needing a “remembering buddy” to being a “stay focused buddy” to others! Way to go Sara!! Next Third time’s a charm! Learning how to recognize relapse.